So, you launched your RIA and now have a laundry list of to-dos and decisions to make. One of those to-dos is keeping a set of books; the accompanying decision is whether or not you should use accrual or cash basis accounting. Accrual basis accounting is considered the standard for GAAP (Generally Accepted Accounting Principles). GAAP is a framework of accounting standards, rules, and procedures defined by the professional accounting industry; these principles have been adopted by nearly all publicly traded US companies. As a financial planner, you may notice your state regulations require GAAP for your financial documents. By default, that means you must use accrual basis accounting. But that's not the only reason why you should choose accrual basis accounting over cash basis accounting. But before we dive into the reasons why the accrual method trumps the cash method, let's first explore the differences between the two. Whereas cash basis accounting is the method of posting income and expenses when they occurred, accrual accounting is the method of posting income and expenses when they are earned or incurred. Take, for example, your billing practices for AUM income. It is common practice to invoice your clients quarterly in advance. If you use the cash basis accounting method, the money is posted as income on the date you received it. If you use the accrual accounting method, on the other hand, earned income is posted across the months that revenue is actually earned. Scenario A: If you receive $9,000 on January 5 for 1st QTR billing ($3,000 per month for January, February, and March), your cash basis accounting financial records will show a large income—$9,000—in January and nothing for February and March. Scenario B: Using the same scenario but with the accrual accounting method, your financial records would instead show $3,000 per month in January, February, and March. With cash basis accounting, the $9,000 received for your services for the entire first quarter (January, February, and March) is posted in its entirety on January 5: the date you received it. With accrual basis accounting, the $9,000 is instead split into three $3,000 payments and posted in January, February, and March—the months you actually earned that revenue. The same holds true with expenses. Say, for example, that in January, you pay $1,200 for technology that you will use all year. If you use the cash method, this expense will only show in January, the date on which the expense occurred. If you use the accrual method, on the other hand, you can accurately reflect the fact that you use this technology all year by spreading that expense over all twelve months—$100/month for January–December. Why is this to your advantage? Because when you can actually see your income and expenses allocated to the months in which they are respectively earned or spent (versus when they occurred), you are able to match expenses and income in the correct time frame. Budgeting becomes more meaningful as you see the true ebb and flow of your finances. 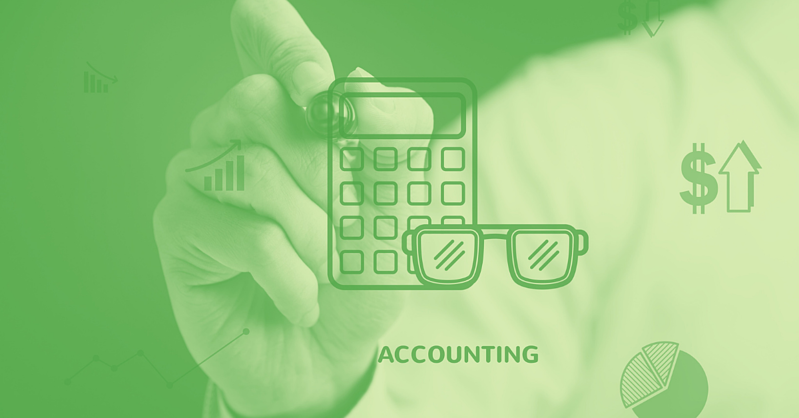 To summarize, let’s look at a comparison between the cash and accrual methods of accounting. Of course, the decision to use cash basis or accrual basis accounting may not be entirely yours; your state’s regularly requirements may require you to use the accrual method. It is therefore important to know your state’s regulatory requirements as this becomes a compliance issue when your books come under audit. While cash basis accounting is arguably easier, you may be required to make the change to accrual basis accounting if your state requires GAAP. If you work with a CPA, be aware that they may not be familiar with compliance requirements. It is important to communicate with them to ensure you follow your state and/or SEC regulations. Need help? FA Bean Counters is here to help with your bookkeeping needs.